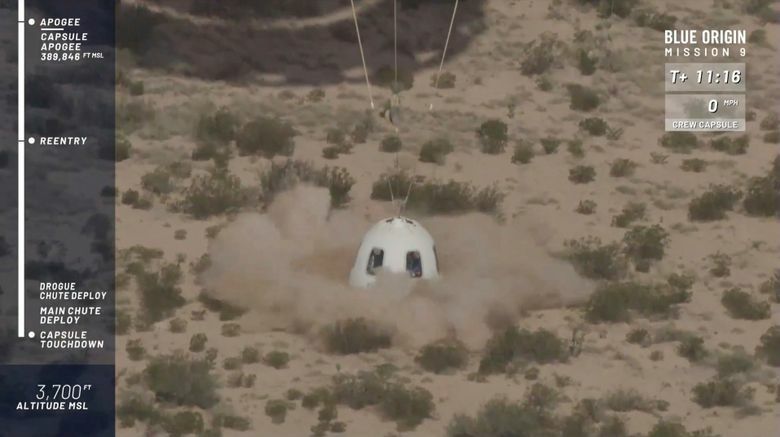 Blue Origin, the Kent-based rocket maker, launched its New Shepard rocket Wednesday on a test flight from West Texas. Once the booster separated, the capsule’s escape motor fired, lifting the spacecraft to an altitude of 389,846 feet. CAPE CANAVERAL, Fla. (AP) — Jeff Bezos’ Blue Origin rocket company shot a capsule higher into space Wednesday than it’s ever done before.